As you go through your life working to accumulate wealth, one of your goals may be to preserve as much as possible for your family after you pass away. One of the most popular methods used by Nevada residents to ensure asset protection is through the use of living trusts. This is just one of the benefits living trusts provide to their creators. As the name intimates, a living trust is created while you are alive, and you have numerous options regarding what type of living trust will work best for your situation. Your assets are placed in the trust and are administered from it. 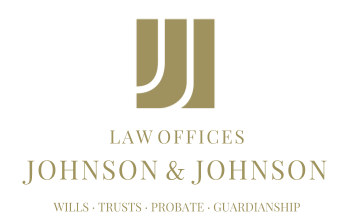 Assets in the trust will not go through probate. This may safeguard their value, which means that your beneficiaries should receive the maximum amount possible from them. During your lifetime, you can serve as the trustee of your living trust, which means that you retain control over the assets until your incapacitation or death. At that point, the successor trustee, which may be a beneficiary, takes over your duties — not before. Fortunately, Nevada’s laws and other guidelines support your decision to use a living trust to transfer your assets. In fact, asset protection trusts are supported by certain state laws. Nearly everyone can benefit from the use of a living trust. You do not have to be wealthy in order to use this avenue of estate planning in order to provide for your family after you are gone. Talk to an attorney about using a living trust as part of your estate plan.